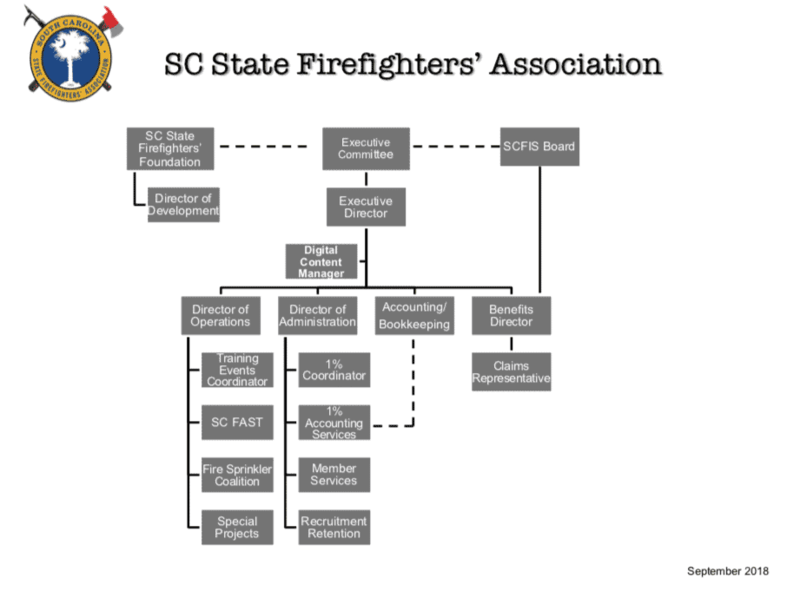 The volunteer firefighter will receive the tax deduction by using either the labeled field on the South Carolina Long Form or by using the identified “other” field selected for use. There will be instructions on how to report this deduction in the South Carolina Tax Booklet. This tax deduction applies to all volunteer firefighters; therefore, if a paid firefighter volunteers at another station, they are eligible for the tax deduction from the station where they volunteer. Also, if a husband and wife are both volunteer firefighters, they are both eligible to receive the tax deduction. The training courses listed in this section are those deemed deserving of specific points, but are not intended to be the only training qualifying for points qualification. Additional training, other than that listed, qualifies under the “Bonus Point” section of this form. Training courses can be carried forward to the next year and the individual does not have to receive the training again the next year to receive the points. These points are accumulated by the individual’s attendance at department meetings and training sessions that he/she is eligible to attend. Here is an example: In a combination department the paid personnel might be required to train every day on duty, whereas the volunteer firefighters may only be required to train once a month. The percentage of attendance would be determined by the monthly training session in which the volunteer is required to attend. The same holds true for station meetings. As in Station Training/Meetings, the participation percentage for calls may vary from those calls in which the volunteer firefighter is expected and required to attend. Here is an example: In a combination department, the paid personnel might handle routine calls and the volunteer firefighters might only be called to selected incidents. The participation percentage for the volunteer could be based only on those calls where the volunteers were alerted. Another example is for those departments where volunteers have specific days of the week to be on call such as: Shift 1 would be on call Monday, Wednesday, Friday and Sunday, with shift 2 on call Tuesday, Thursday and Saturday. In this situation, the individual volunteer’s participation percentage would be based only on those calls falling on those days they were actually on standby. This category was established for those volunteers who are unable to participate in suppression operations, but who provide significant service to the department or community by performing non-firefighting/rescue duties. The Fire Chief has sole authority in granting these points and the services would include (but not be limited to) duties such as dispatch, maintenance, computer entry, crowd control at scene, public fire education, etc. These points are awarded for any training, other than that identified under the Training Section, that the Fire Chief deems appropriate and beneficial to the operation of the fire department and the citizens it serves. Attached information for the Individual VIP Certification Form (Form 301) for use by the Fire Chief when certifying volunteer firefighters in the Volunteer Incentive Program. As stipulated in state law, this form must be given to the individual firefighter for tax record purposes when claiming the $3000.00 tax deduction on the state income tax. Please copy this form as needed and maintain a copy for department records. The Chief of the Fire Department is the sole authority for the certification of the volunteer firefighter as it relates to the volunteer being qualified to receive the tax deduction under the VIP law. This law was passed as a means to reward volunteer firefighters for the service they render to their community and the point system was constructed so that those individuals putting forth a good faith effort should qualify. It is, however, up to the Fire Chief to see that those individuals meeting the standard receive the benefit, a responsibility that should not be taken lightly. We encourage you to keep the appropriate records to allow your volunteer firefighters to receive this significant benefit. Both forms should be completed before January 31st of each year. The following form should be completed and a copy given to the individual. This form must be completed and a copy returned to the Association via fax or email.